Don't know who the man is near drill rig-possibly well driller. Same location. Description Scanned as b & w. Photos 870-873 from an envelope with a letter to Mary Strachan from E.J. Duis, former city recorder. Photos from the late 1930's - early 1940's. 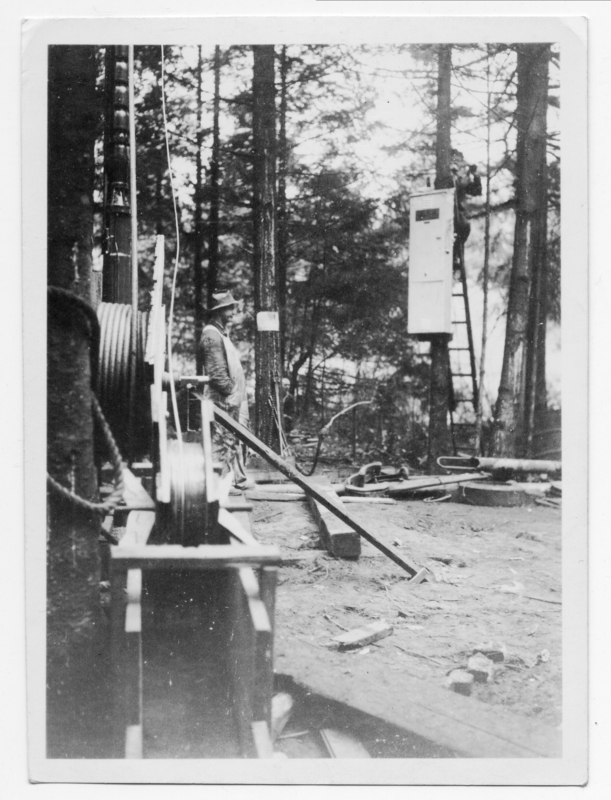 Transcription Don't know who the man is near drill rig-possibly well driller. Same location. Physical Description H 4.5" x W 3.5"